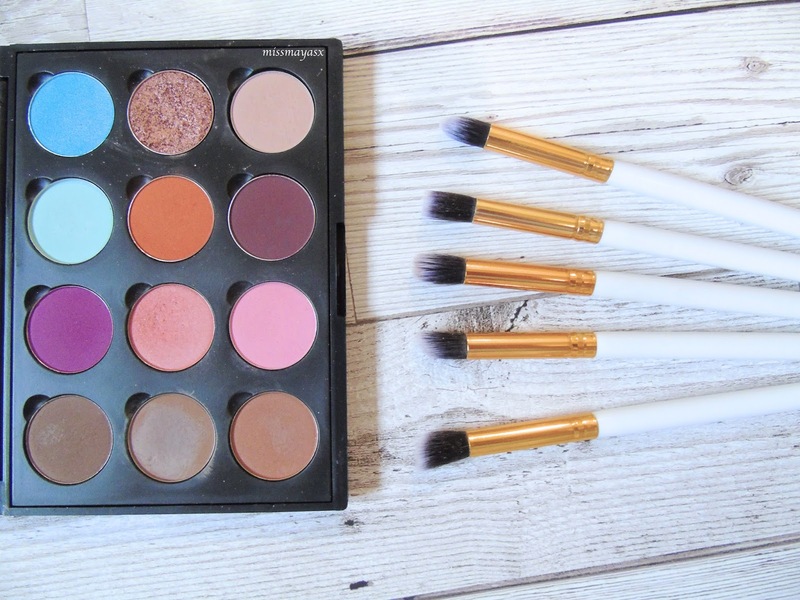 I think I must have started my Christmas shopping in September this year as Primark had brought out the cutest bits and bobs and I couldn't resist a good deal! 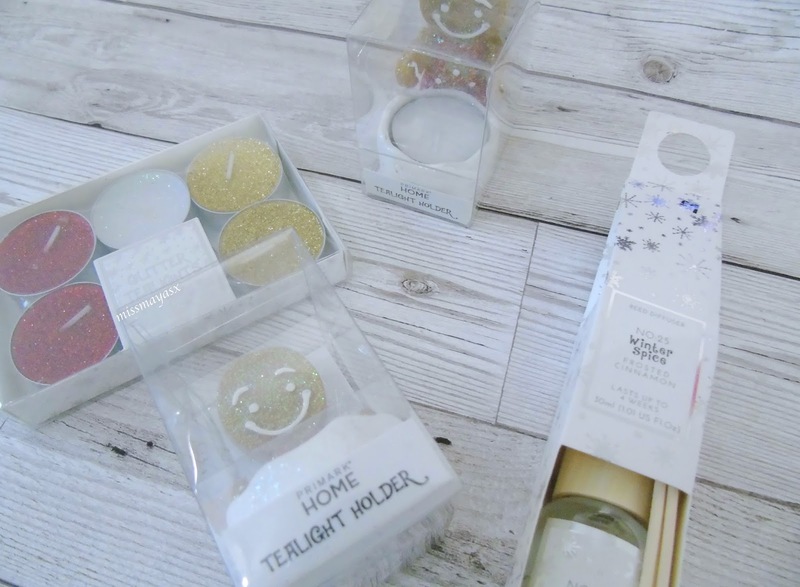 I picked up these cute little glittery tealights to decorate my coffee table, and the gingerbread tealight to put on my bedside table right next to this cute little reed diffuser. The set of tealights also came in different colours, but I chose this one as the theme I'm going for this year is red and white/silver (the gold can be saved for NYE, hehe). 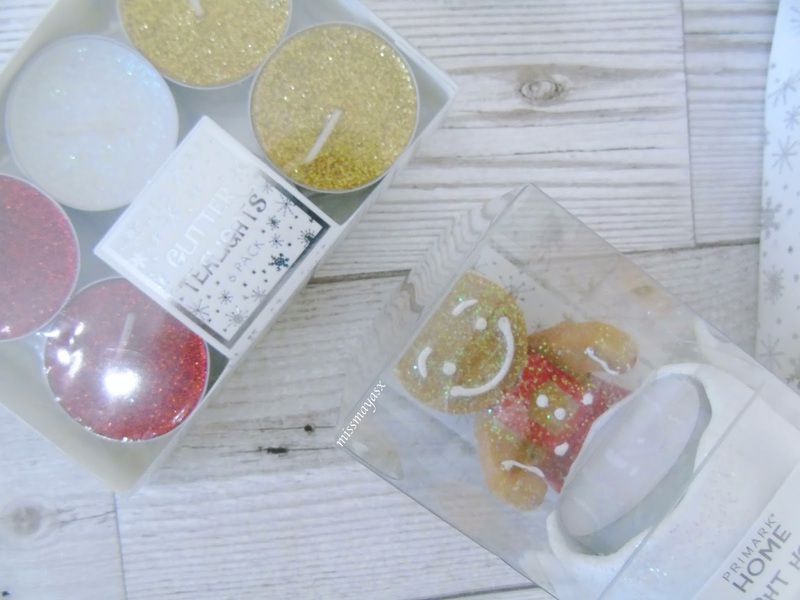 The gingerbread man tea light is such a cute little addition to any candle lovers' collection. It would look gorgeous on a mantelpiece next to a big garland or surrounded by cute little fairy lights. The Winter Spiced Frosted Cinamon reed diffuser sits proudly on a shelf in my bathroom for an extra festive feeling. My whole flat is surrounded by cute little festive decorations and scents which I'm excited to share with you in upcoming Blogmas posts! What are your favourite decorations for Christmas? (Besides the obvious, duh).